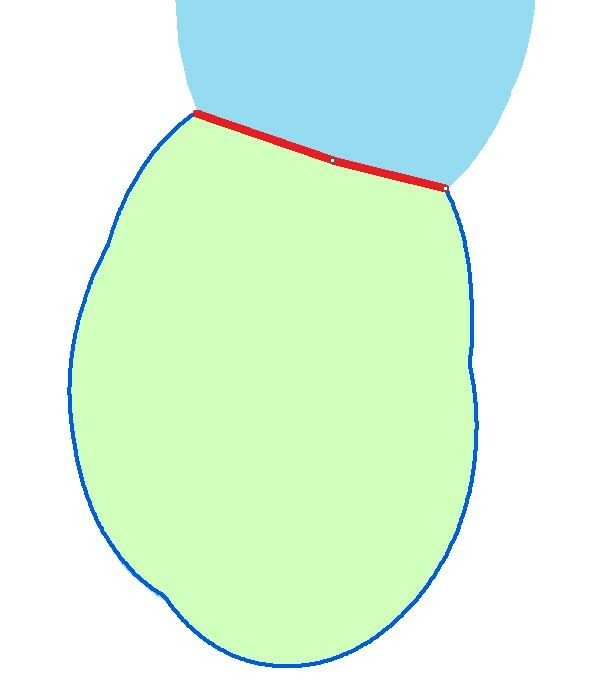 I am trying to do a simple measure of the length of seperate sides of a polygon depending on which other polygons it borders (in the image: the dark blue borders of the green polygon to the white area and the red border to the light blue area). While I'd be keen to hear what tools would be useful for this exercise I have the problem that the polygons come from different sources and do not border exactly (gap) or overlap. I am thus trying to measure the length using the 'Measure' tool in ArcGIS 10.5. This works fine for straight lines but the snapping of the measure tool to curved lines (holding down CTRL) is fairly imprecise. Is there any method to trace outlines similar to the 'Trace' tool or which other method could I use? 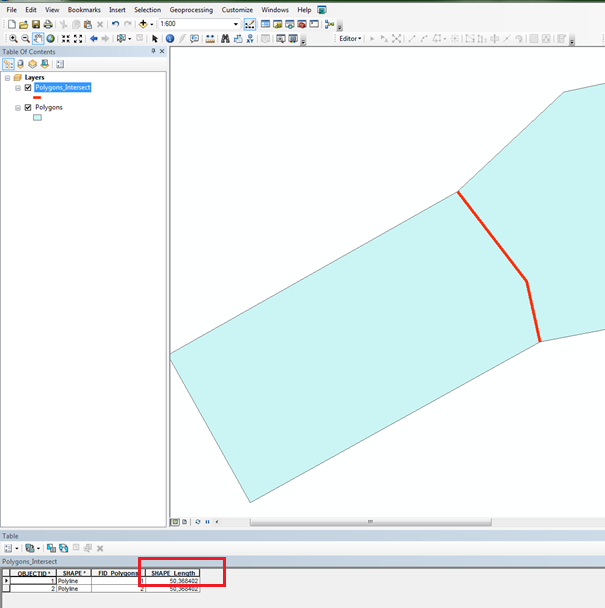 One method would be to make a copy of your polygons into a file-geodatabase and then convert the polygons to lines using the Polygon to Line tool. You could then use the Split Tool in the Editor toolbar to manually split the lines at the points that you want to measure from/to. As your data is in a file-geodatabase, in the attribute table there will be an automatic Length field that will update when you use the split tool. Not the answer you're looking for? Browse other questions tagged arcgis-desktop length trace measure or ask your own question. Creating polygons using mask layer? Iterating polygon creation in ArcGIS ModelBuilder? Hiding Overlapping Lines in ArcMap? Remove gaps between two polygons using ArcGIS for Desktop?